Born in 1805 on the Lewis and Clark expedition, Jean-Baptiste Charbonneau is the son of Sacagawea and Toussaint Charbonneau. He is raised both as William Clark’s ward in St. Louis and by his parents among the villages of the Mandan tribe on the far northern reaches of the Missouri river. In 1823 eighteen-year-old Baptiste is invited to cross the Atlantic with the young Duke Paul of Württemberg, whom he meets on the frontier. During their travels throughout Europe, Paul introduces Baptiste to a world he never imagined, and Baptiste ultimately faces a choice: whether to stay in Europe or return to the wilds of North America. As we follow this young man on his intriguing sojourn, this remarkable novel resonates with the richness of three distinct cultures, languages, and customs. 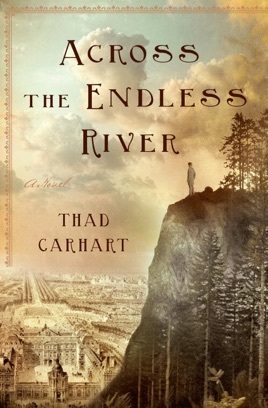 Carhart follows The Piano Shop on the Left Bank with an uneven historical about the divide between the rugged frontiers of the New World and the court intrigues of Europe. Jean-Baptiste Charbonneau, son of Sacagawea, acts as a guide for natural scientist Paul Wilhelm of W rttemberg. 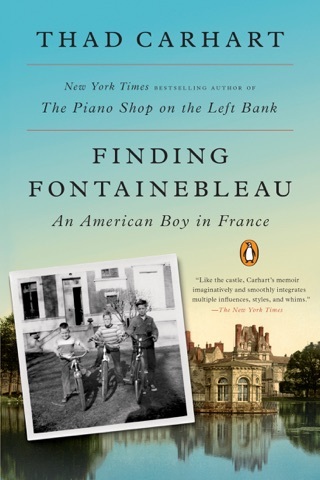 Impressed by Baptiste's knowledge, Paul invites him to travel to Europe and assist him in cataloguing his North American treasures, beginning a five-year adventure that will see Baptiste change in ways he could not imagine. In Europe, Baptiste visits noble homes and palaces, attends lavish balls and beds charming women. He ambles through a Parisian market, taking in its pungent smells and the high, piercing cries from the sellers and later joins the French gentry on a civilized hunt. It's all marvelously captured, and though Carhart can be less than subtle with some of the race politics, the biggest problem with this finely crafted milieu is that Baptiste's survey of Europe feels more like a prelude than a plot. The imagery is stirring, but the story isn't.